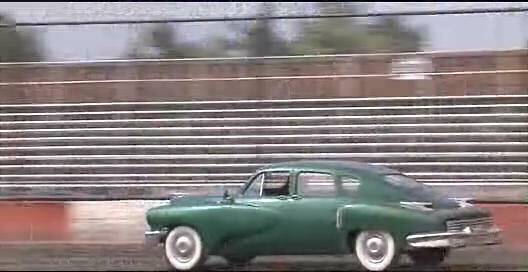 IMCDb.org: 1948 Tucker 48 'Torpedo' in "Tucker: The Man and His Dream, 1988"
Voiture construite à 51 exemplaires, dont 47 ont survécu. That is an Indian Chief on the left. 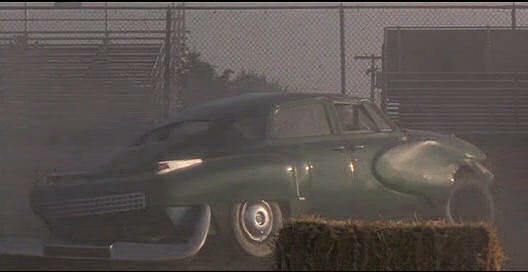 According few sources, the green replica used for the crash is based on a 1950/1951 Studebaker. J'ai encore quelques catalogues. A l'époque, il y a une Tucker qui est venue en Europe. 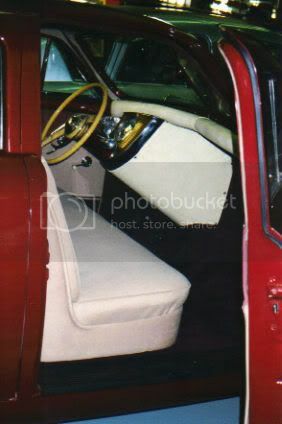 Ma mère m'a raconté qu'elle l'a vue à Bruxelles, mais malheureusement ce n'était pas à l'époque du salon de l'auto. 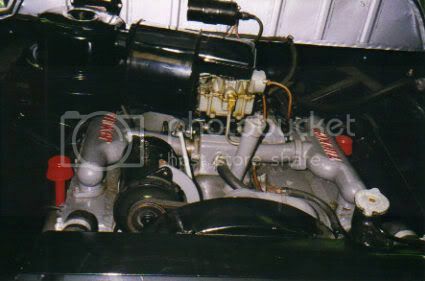 Avant guerre, c'était les Bugatti, et après le flop total des Tucker, il ne s'est plus occupé que vendre des Panhards et des DKW. 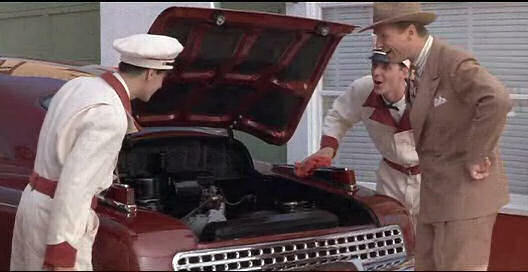 Man, what a beautiful car! 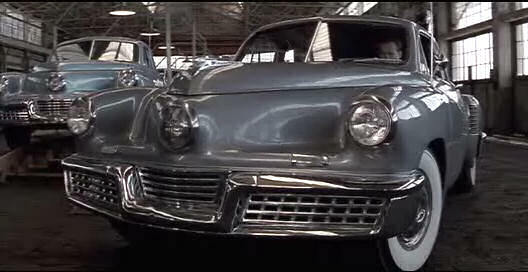 I can verify that the car wrecked in the movie was, and is a 1950 Studebaker modified with 1951 Studebaker and replica Tucker parts. 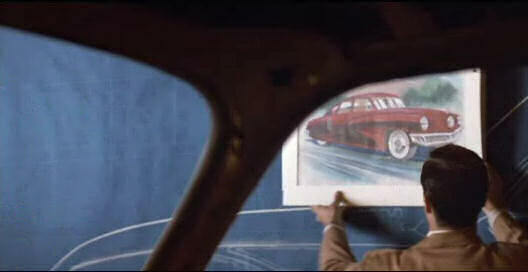 I have seen the actual car used in the movie. 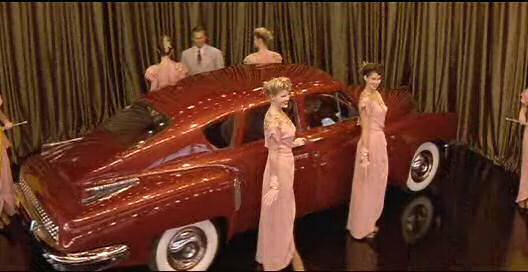 It currently resides in an antique auto museum in Tallahassee Florida. I saw it there 8 years ago. In all its banged up glory. 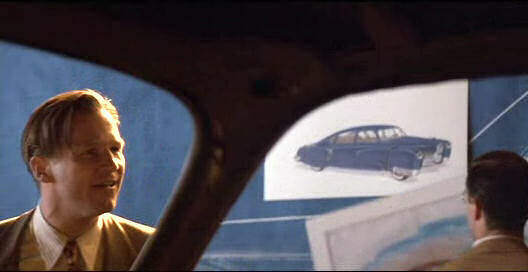 Steven Spielberg a 2 Tucker(des vraies),et,Georges Lucas en a 2 autres(des vraies aussi). 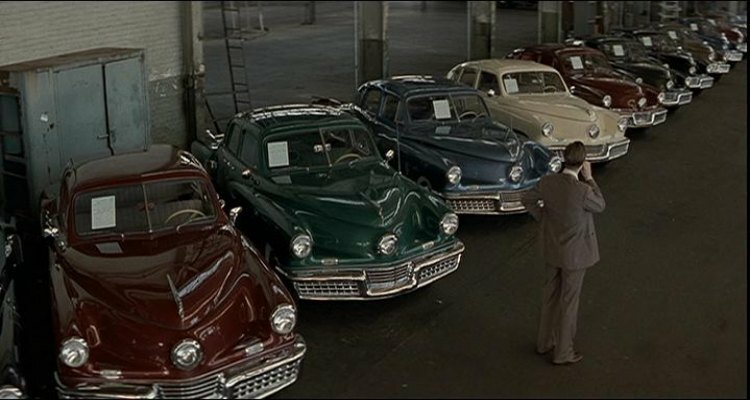 I'd love to get my hands on one of those. stpaulcarguy wrote I'd love to get my hands on one of those. 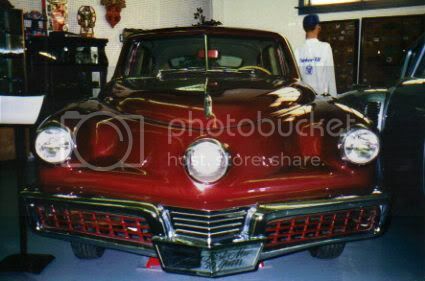 no problem, prepare some cash and wait for it in the auction Link to "www.rmauctions.com"
I have a 1:64 model 1948 Tucker Turpedo. It's prettey cool. 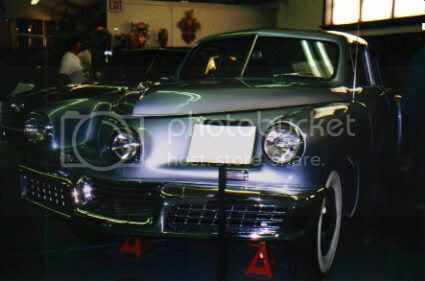 Here's a few photos of the prototype "Tin Goose" Tucker and the Waltz Blue car. 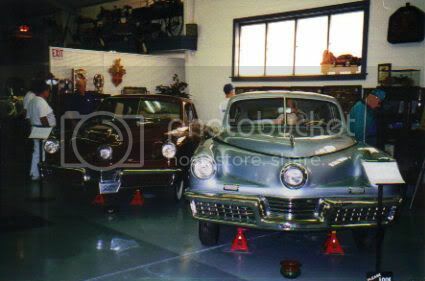 Both of these cars reside in the Swigert Museum in Huntingdon, PA, the oldest automobile museum in the US and the only musuem to have 2 Tuckers. 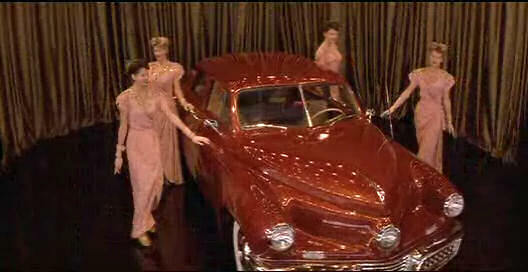 The owner, Mrs. Swigert, gave my car club a "behind the velvet ropes" look at theses cars. 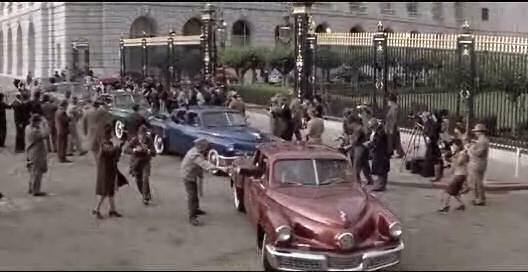 The Waltz Blue car was the one used in the chase scene and was damaged during use. 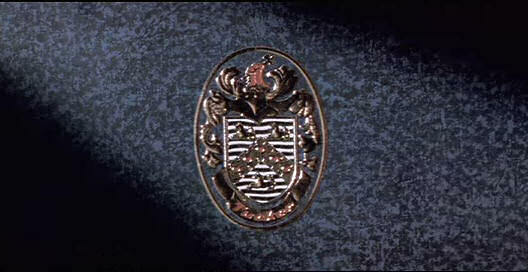 The film company paid for a complete restoration after filming. 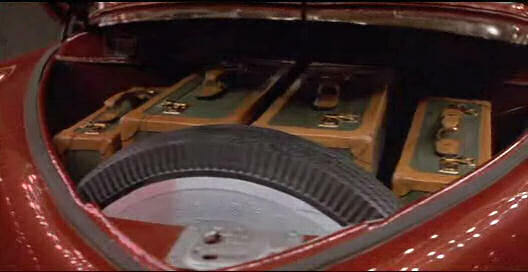 The prototype differs in many ways from the production models including painted front grilles and conventional, as opposed to suicide, rear doors. 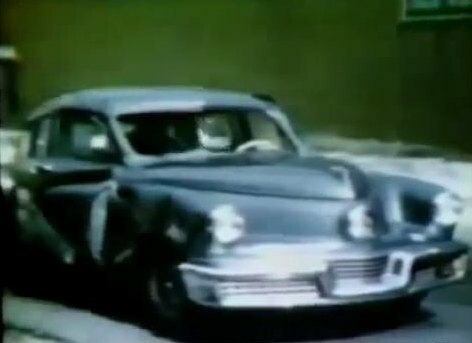 The "Tucker" that gets crashed is a 1950 Studebaker modified by Tom Sparks, movie car genius and supplier of cars to films for over 40 years. 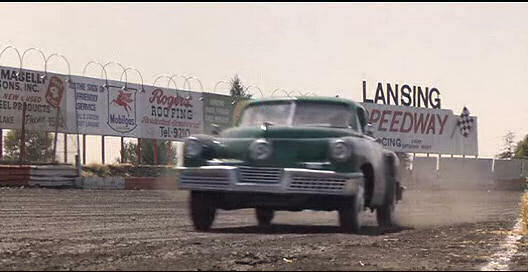 Some of the real Tuckers used in the film were treated very poorly, and had serious damage done to original upholstery and even body damage. 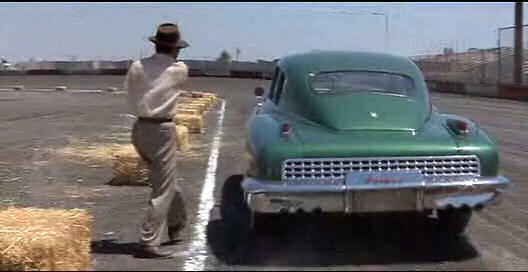 The owner of the car used in the chase was so discouraged that she ended up selling the car. 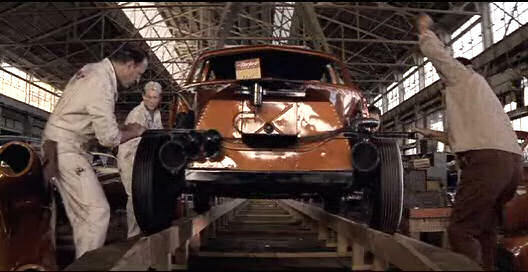 I have to disagree with Carguy60 -- the movie company did not pay for a complete restoration on the car. 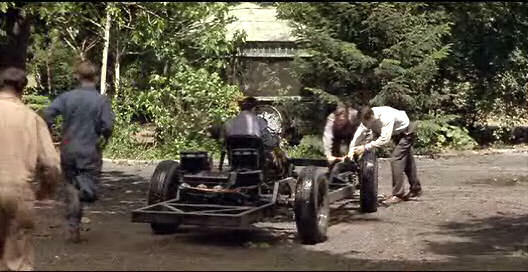 They did their typical half-hearted repairs, which were completely unsatisfactory, then they refused to do any more. 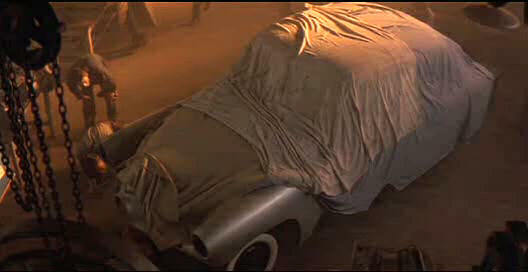 The owner contacted me in the hope that I could help persuade the movie company to do a proper restoration, but then sold the car before I was able to make the necessary arrangements through Tom Sparks. 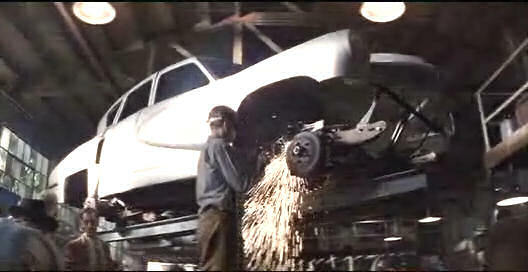 Sparks said if he had known, the car would have been properly restored, but he was contacted too late. I agree with my friend studie289 on this one. 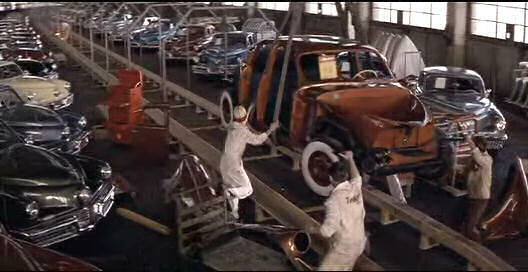 The production crew we not that nice to the cars used in the movie. 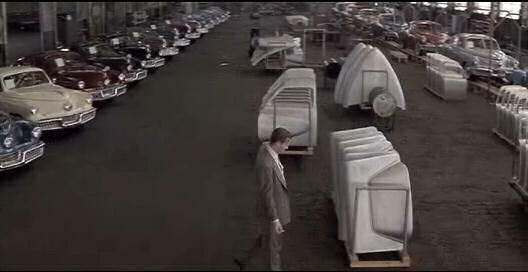 Every car used in the movie was damaged in some sort of way weather it was during shipping or production all cars used were damaged in some way. 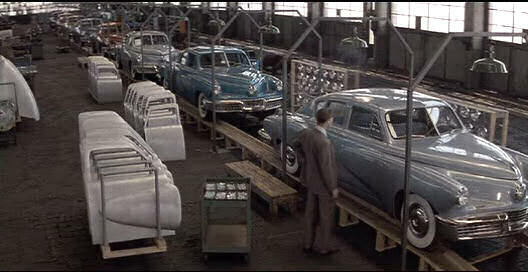 The car that received the most damage during the production was the car studie289 mentioned above, it is car SN 1013 AKA the 13th car produced. 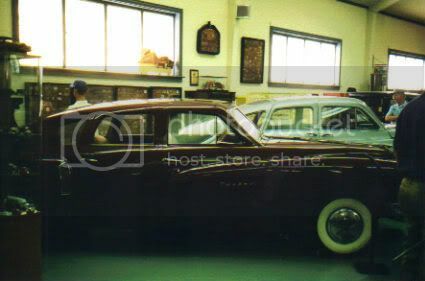 1013 now lives in Huntington PA and the Swigart Museum, it sits on display next to the Tin Goose. 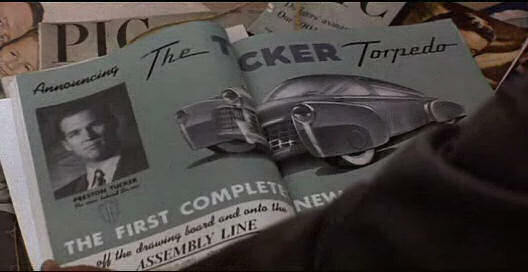 Wasn't the official name Tucker Sedan? 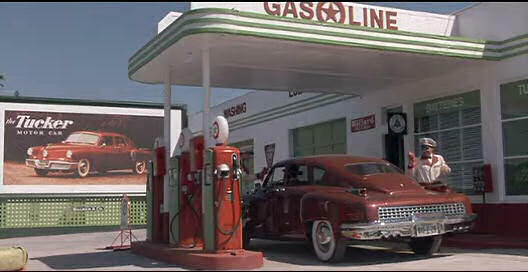 The official name of the car is the Tucker '48. 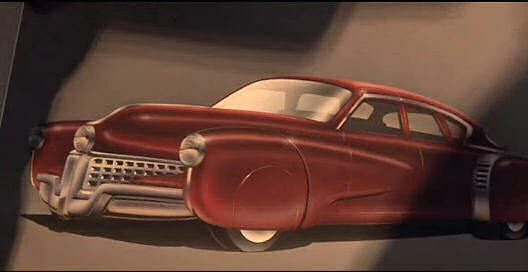 It was referred to as the Tucker Torpedo in pre-production literature and advertisements, and this name is commonly misused to identify the production car. Neat design, horrible to drive. 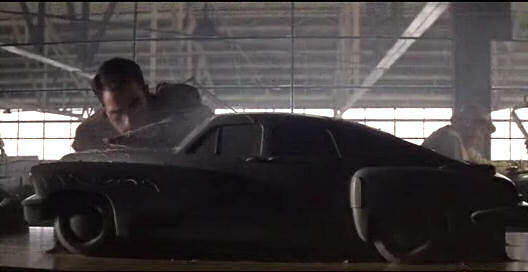 JTGrodes wrote Neat design, horrible to drive. Did you try or just guessing? 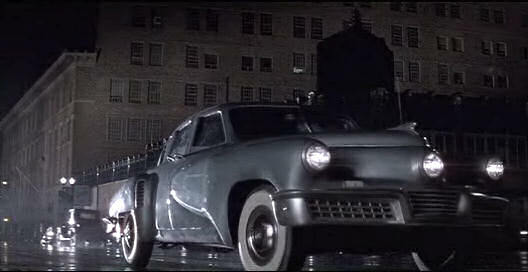 I support the Studebaker being added as a Made for Movie vehicle. 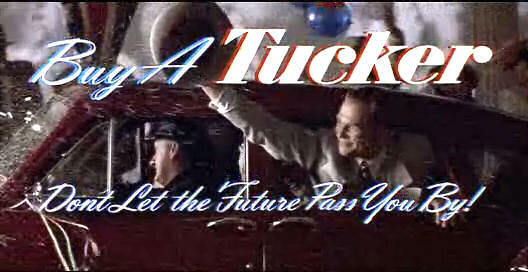 As I recall, the movie makes a big deal out of the Tucker having seatbelts. They don't seem to have made it into the final product, however. At least the only one I've seen with the door open (at the Tupelo Auto Museum in Mississippi) doesn't have them. 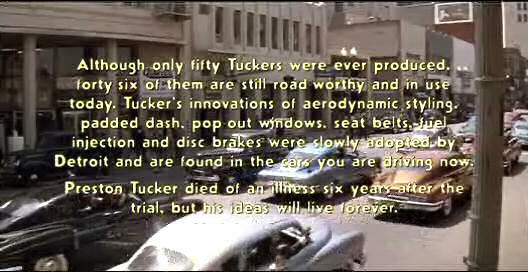 Wikipedia doesn't mention seatbelts in the article on the Tucker. Anyone know anything about this? 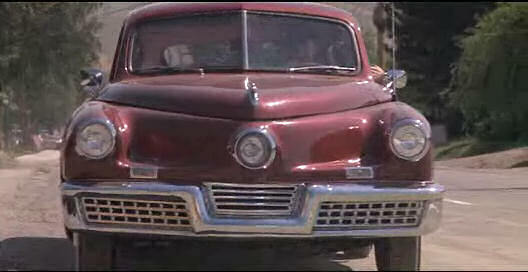 I recently sat in one of the Tuckers used in the movie! A man who worked at the Stahl Auto Museum in Chesterfield Michigan let me sit in it! 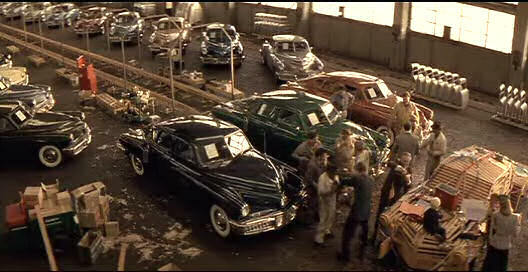 There is one page for all Tucker 48 seen in the movie, regrouping real and replicas. 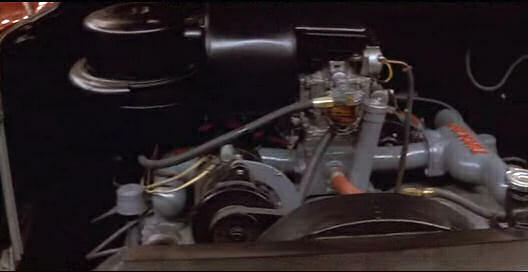 Additional pages could be created if we have more info to give about a particular real one seen in the movie. 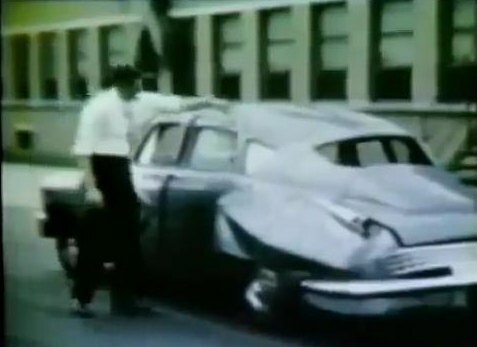 photos of the real wrecked car. 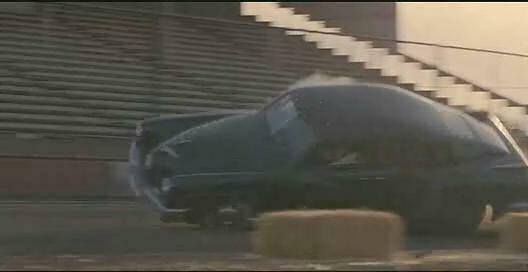 Rolled at 100mph at Indy during a test run, just body damage (fenders, roof). 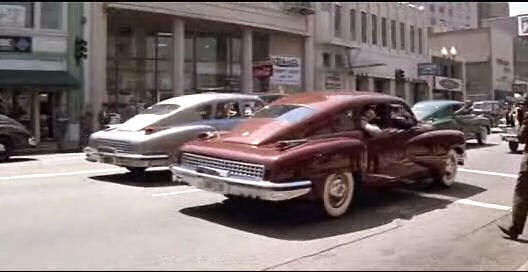 The windshield & rear window popped out, as designed. Famous (and hilarious!) 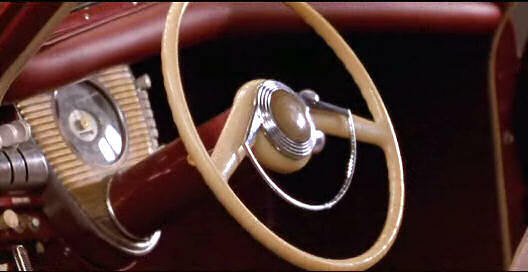 Mechanix Illustrated road test journalist Tom McCahill was very impressed with the Tucker. No same shot as current? 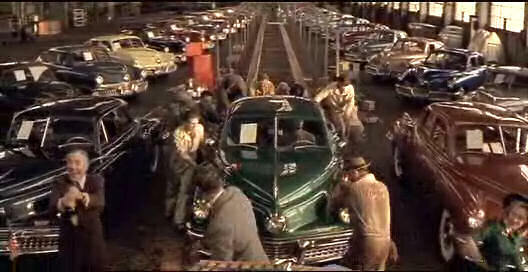 Isn't the shot from the showroom not better ? 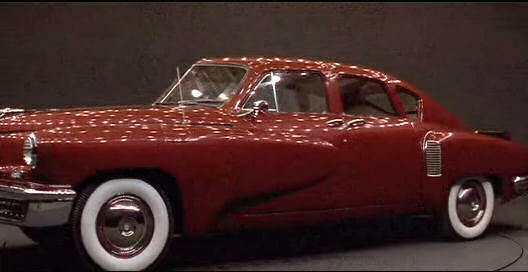 The first time I visited the LeMay Car Museum, I actually saw one of these.